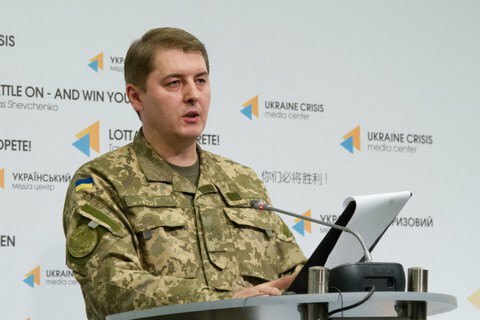 Three Ukrainian servicemen have been killed and two wounded in the antiterrorist operation (ATO) area in Donbas over the past day, the Defence Ministry's spokesman for ATO issues, Oleksandr Motuzyanyk, said on 11 December. They were killed as a result of pro-Russian militants' mortar attack on Krasnohorivka. One serviceman was wounded near Krasnohorivka and one near Verkhnyotoretske. Over the past day, the militants have launched 70 fire attacks on the ATO troops in Donbas.